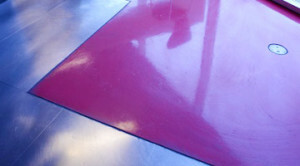 Many high performance resins and industrial concrete floor systems generate odor during the chemical curing process—even solvent-free, zero-VOC, LEED-contributing formulas. This is simply the nature of many of their chemical components and while proper airflow management during installation is typically a sufficient solution, that isn’t always an option. For those times, Florock offers special low odor flooring and coatings. The majority of Florock’s industrial concrete floor systems can be installed using our low odor resin flooring technology. The multiple resin chemistries that make up our product line allow us to offer this uncommon benefit, giving you more options and making the installation process easier than ever. With our wide array of low odor flooring solutions, you get the look you want, the durability you need, and the convenient installation that makes Florock a top choice in the industry. The professional installation of any industrial concrete floor systems should include some level of airflow management that prevents odors from disturbing facility occupants. In some cases, however, that simply isn’t possible—a room may have poor ventilation or be lacking in windows, access or provision for rerouting airflow during installation. 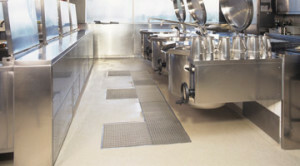 Without a low odor flooring solution, you might be forced to schedule costly, inefficient downtime. The low odor flooring and coatings from Florock, however, allow to continue business as usual, with no shut-downs due to odor management. Whether you prefer commercial flooring with a utilitarian finish or a highly decorative custom design, we can utilize a convenient, low odor formula that suits your aesthetic needs.